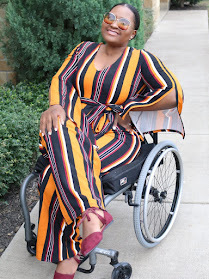 I've got a deal alert for you today!! 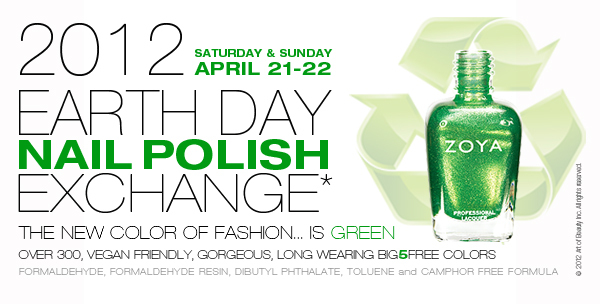 ZOYA has announced their earth day Promo. No need for a long speech here... What you'll be able to get is 50% off every Zoya polish of your choice on their website. 1. Go to www.zoya.com, pick out the polishes you would like and add them to your cart. You must select at least 6 and no more than 24 bottles of polish (Salons accounts minimum 12 maximum 48 bottles). 4. Review and SUBMIT your order! You will have to pay shipping if your order total isn't up to $50. The Whole earth day thing is about properly disposing nail polishes you currently have that aren't BIG 5 Free! Read Zoya's Blog for more on how you can send your non 5-free polishes to them for proper disposal. You're so kind. Thanks for your comment/compliment. Sorry Love. But as stated on the picture, the promo was ONLY from April 21-22. It worked for me I will get my polishes this week!